The patient-physician relationship was transformed in TriHealth primary care practices thanks to a $6 million, three-year bi3 grant to accelerate adoption of the nationally recognized Patient-Centered Medical Home (PCMH) model of care. As a result, a primary care physician is no longer viewed simply as someone to visit when you’re sick or need a prescription renewal, but as a partner for wellness and prevention. TriHealth was the first health system to adopt PCMH as its standard for primary care, and is a key reason why Greater Cincinnati has the highest concentration of PCMH practices in the country. At its heart it is a whole-person approach to managing – and maximizing – all aspects of a patient’s care through a single primary care provider or “medical home.” Fueling the approach is a coordinated team of providers who personalize care for each patient. Physicians and their staffs are supported by technology, consistent processes and the ability to track patient data in real time thanks to TriHealth’s proprietary Clinical Data Warehouse, also funded in part by the bi3 grant. 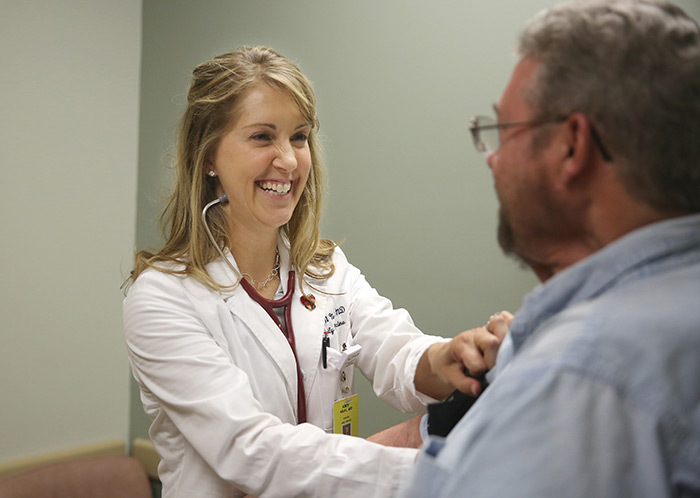 As a result, TriHealth physicians lead the community in management of diabetic patients. It is the only system able to report on all 17,000 patients with diabetes within the first two years of implementation. Savings to the system for diabetes care exceeded $30 million in just the first two years. The program also was cited as a key element in attracting a $2 million grant from the Center for Medicare and Medicaid Innovation to more broadly develop the model. The state of Ohio is one of only 16 in the U.S. to receive this funding and only one of two states to receive the maximum amount of funding.